U.S. citizens residing and traveling in Mexico should exercise caution when in unfamiliar areas and be aware of their surroundings at all times. Violence by criminal elements affects many parts of the country, urban and rural, including border areas. U.S. citizens should make every attempt to travel on main roads during daylight hours, particularly the toll (cuota) roads, which are generally more secure. It is preferable for U.S. citizens to stay in well-known tourist destinations and tourist areas of the cities with more adequate security, and provide an itinerary to a friend or family member not traveling with them. U.S. citizens should refrain from displaying expensive-looking jewelry, large amounts of money, or other valuable items. During violent demonstrations or law enforcement operations, U.S. citizens are reminded to remain in their homes or hotels, avoid large crowds, and avoid the downtown and surrounding areas. Yet another Security Advisory in Mexico from the U.S. Embassy, just days after the Virginia Tech massacre. Three persons were killed this afternoon in a Kansas City shopping mall. Former U.S. Senator Carol Moseley Braun was mugged this weekend outside of her Chicago home. Starbucks, Target and a state technical university don’t seem like such safe places these days. Miami Herald and El Nuevo Herald columnist Andres Oppenheimer thinks the U.S. has reached the point where it should bag the travel warnings for foreign countries – or at the very least, include itself in those warnings. Read on. The New Zealand Herald reported that foreign tourists fear U.S. officials more the terrorists or criminals. Something’s sadly wrong. And RFID-enabled passports, fingerprinting all ten fingers and all ten toes of visitors, and building a wall along the southern border aren’t the answer. offering up uncommon sense laced with a dose of humor. And it’s getting more and more absurd"
 I’m very sorry I offended, upset, anger, or hurt you, how can I fix this? everything I can to fix it." How many times do you say sorry? picked off his forty-six victims, killing fifteen of them. on unarmed students, killing four and injuring nine. Whitman, and Crosby, Stills, Nash and Young sung about Kent State. And college campuses won’t be one whit safer. of San Miguel, forging an image I could never erase from my mind. 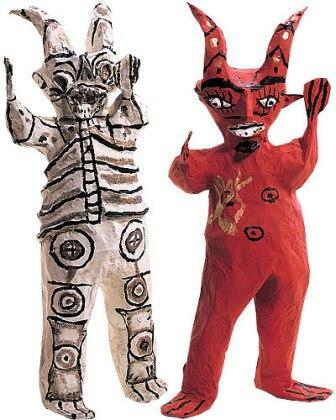 living in San Miguel de Allende. 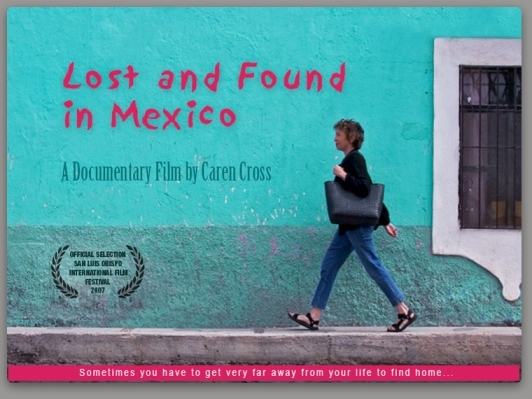 It’s been six years since her move to Mexico, and her documentary Lost and Found in Mexico has just been released. them to the town and how they feel about their new surroundings. making her feel like a nobody because of her gender. Hooper came to San Miguel to raise her daughter. sociability of the people, and a live-and-let-live attitude. and income level of the expatriates was noticeable. is that she is part of a culture – an expatriate culture. a story behind the move, and frankly most of them aren’t that exciting. lovingly call this place home. that Judas wasn’t such a bad guy after all. blue-and-white clad devils weren’t worth blowing up. solution, but now that I’m back home, I wish I had. to reign over the entrance of my house. I wouldn’t blow those guys up. more. On second thought, I’d really rather not think about how New York votes either. country that’s never been as Internet-hungry as its northern neighbor. established this year and modeled after those in Paris and Rome and probably Queens. there’s the new Tiffany boutique at El Palacio de Hierro. liberalized abortion laws change the social landscape? only by the homesteaders heading off in 1889 to the Oklahoma plains, of Americans heading off to Mexico. professor Sheila Croucher reflects on what’s going in San Miguel de Allende, in "They Love Us Here": American Migrants in Mexico. interest of foreigners in Mexico extends beyond the traditional beach venues, Lake Chapala and San Miguel de Allende to other areas of the country. to attract foreigners, and that’s part of its appeal.